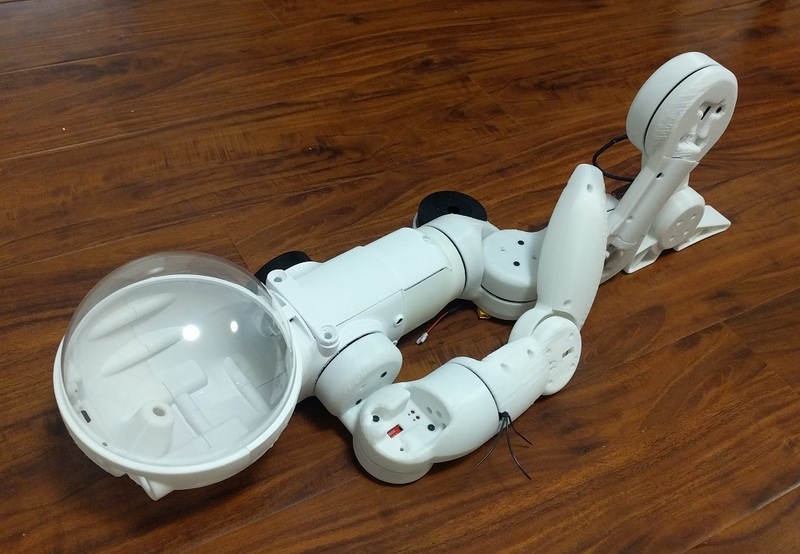 DizzyRobot is an attempt to build complete walkin robot from scratch including all the aspects of it – plastic parts of the body, motor driving electronics and sensor feedback, up to artificial intelligence. Started out as a humanoid robot (on the left) I later on decided that first version should be 4-legged. I’ll get back to humanoid later! 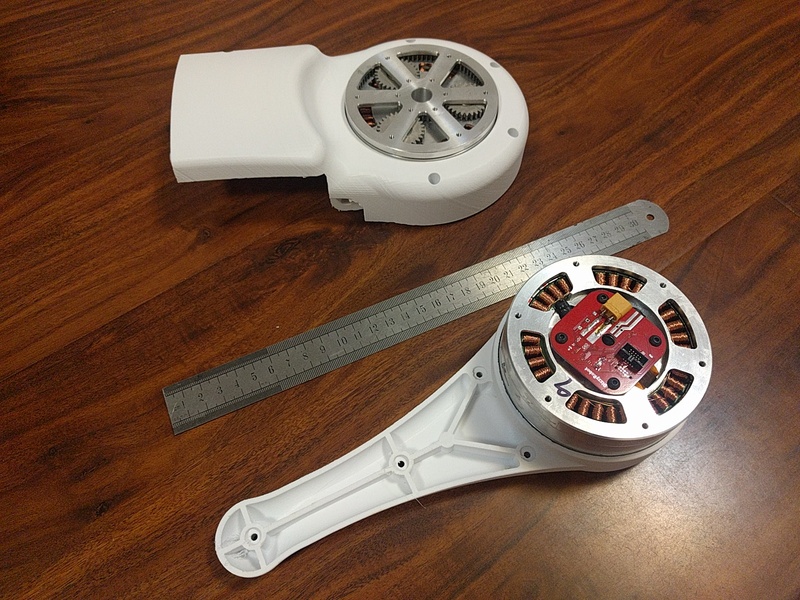 Putting bunch of motors together looks ugly unless you take care to carefully design the plastic parts, which I did. It is easy to replicate, looks “good enough” and keeps all the internals protected. 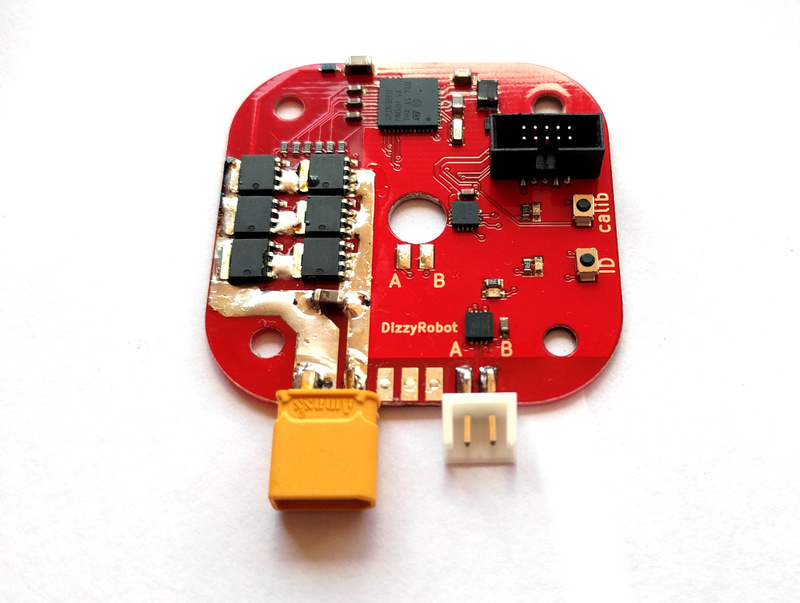 A small micro-controller board that converts BLDC into servo. 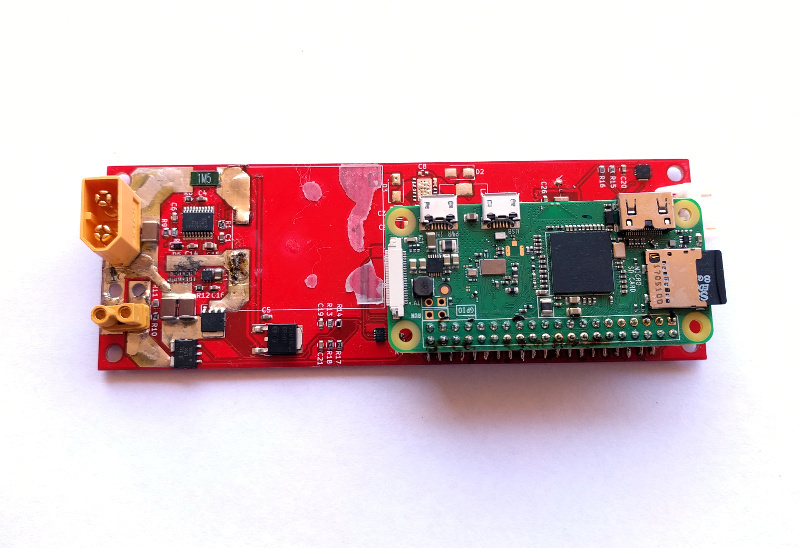 It receives commands and reports back it angular position via RS485 serial interface. Multiple controllers can be connected in parallel and addressed by ID. Magnetic sensor is used to read position of the rotor. Hollow shaft is convenient for robotics applications. Both hardware and firmware is open-source, you can easily tweak the code for your needs. Your contributions are welcome! 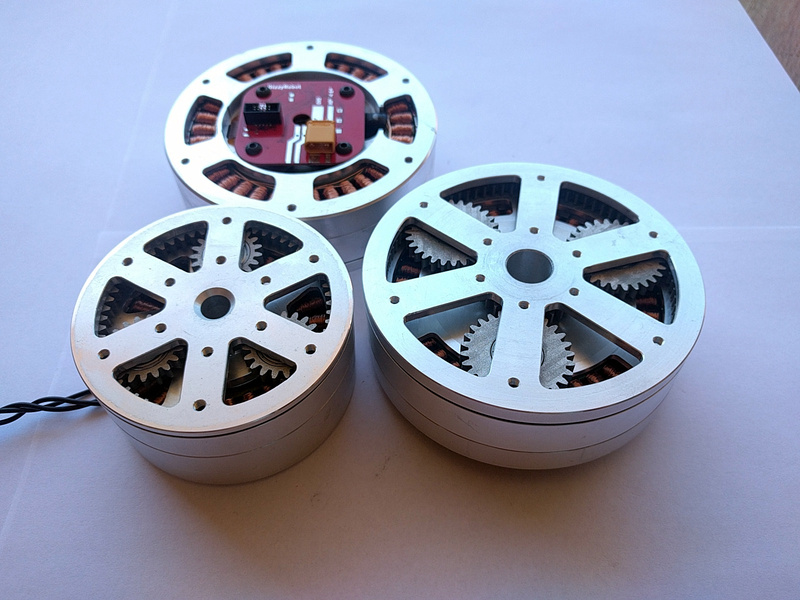 Enhanced by a planetary gearbox, several sizes of DizzyMotor is functionally similar to DirectServo, but delivers high torque and power in (relatively) compact size. 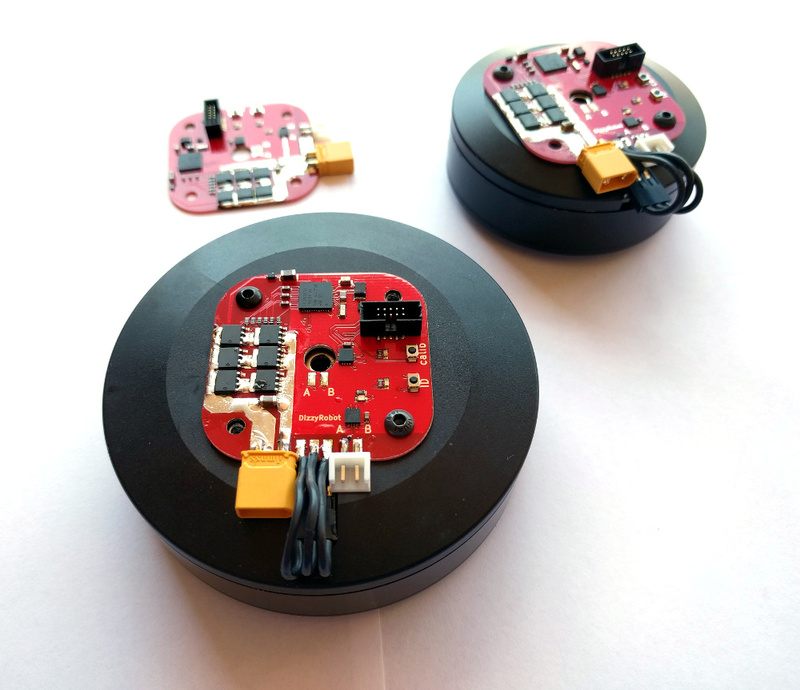 RS485 serial interface, two magnetic sensors, custom-built aluminium body, lightweight and durable. Hollow shaft design. Available in 2 sizes. Mainboard performs several functions in one compact format: it raises battery voltage from 12-24V to 40V as required by motors; it provides 3.3V and 5V power supplies 5 Amp each; it carries gyroscope and finally int provides SPI interface which is easier that network of RS485s. 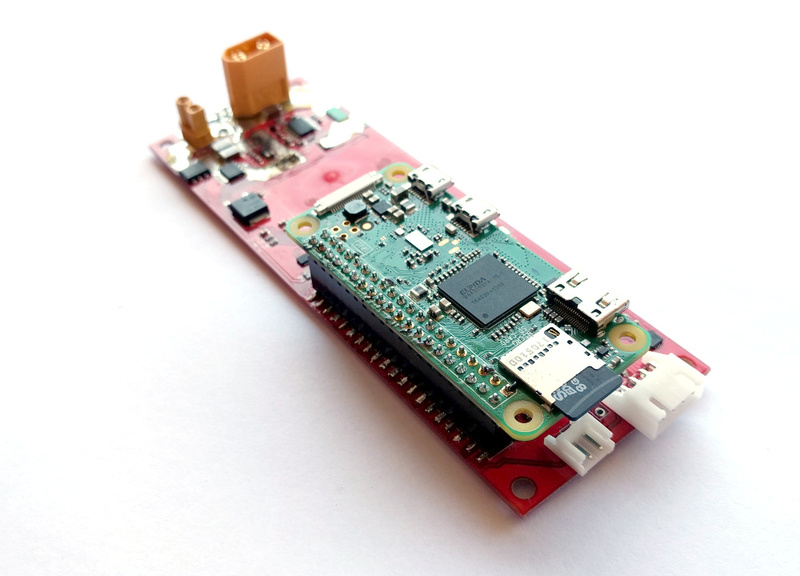 Because DizzyRobot is designed to run intelligence on the PC, the mainboard uses Raspberry PI W to convert it into Wi-Fi remote. RasPi runs HTTP server which can be accessed from your PC via WiFi. Commands to the motors and readings of the sensors are exchanged via HTTP. This lets you write your AI application in your favorite language and IDE.